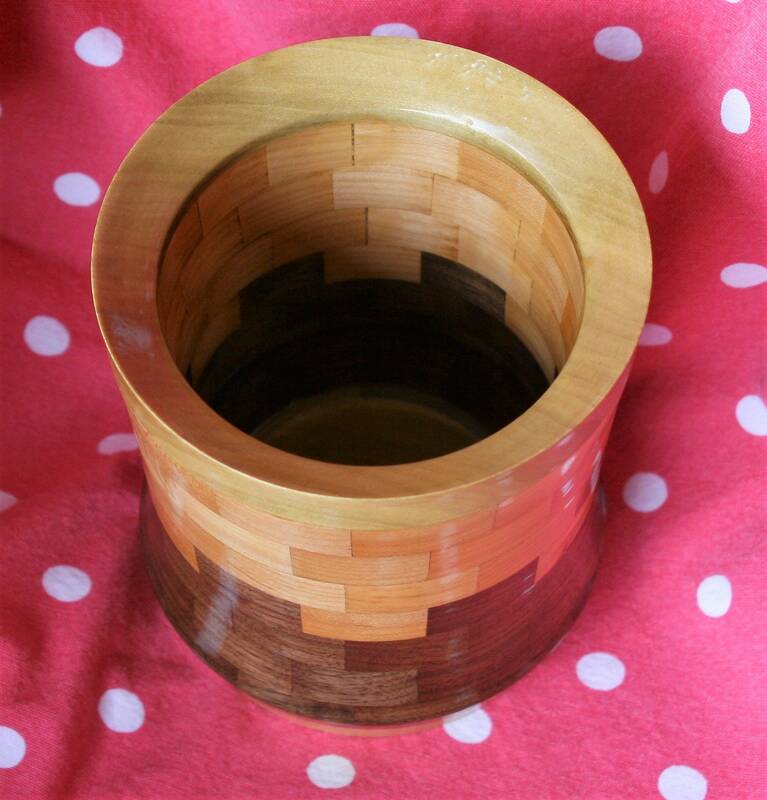 A segmented wood flowerpot or planter. This flowerpot was turned on a lathe so it is round. 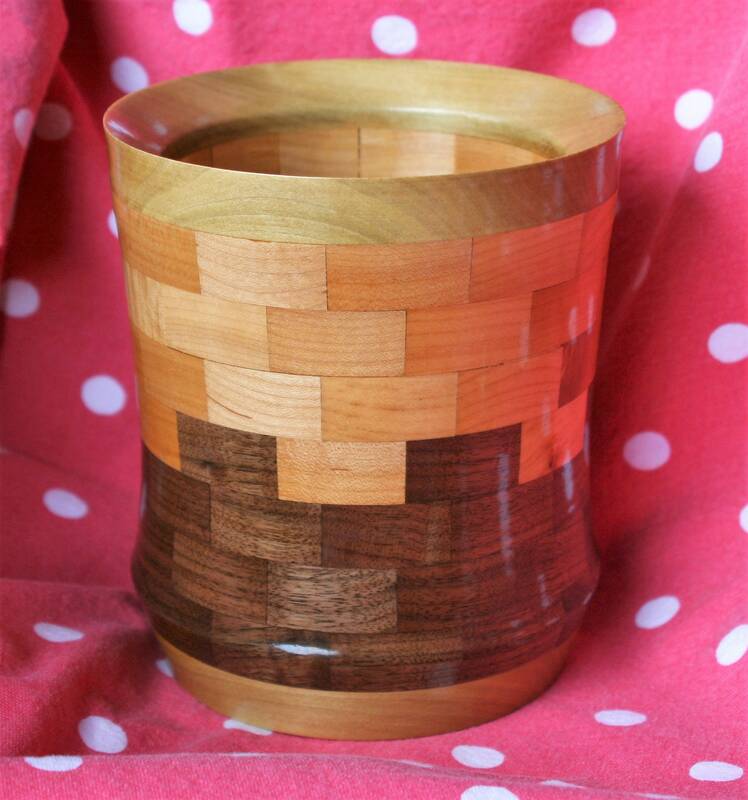 It is made of segmented pieces of Walnut and Maple that creates a nice pattern. Three layers of walnut on the bottom, followed by a mixed layer, and then three layers of maple. The top and bottom layers are poplar. Coated with two layers of epoxy, the wood will always be protected from damp soil. The epoxy gives it a high-gloss finish. The pot is 7 inches tall. The diameter at the top is 6 inches and circumference is about 18.5 inches. There are roughly 5.5 inches of usable depth for soil.